There’s only one thing in your life that you’ve never yet done but are guaranteed to do. It is our single greatest unsolved mystery and therefore causes a lot of anxiety and a lot of speculation. Some of us think about it often, perhaps more often than we realize. And our collective theories, beliefs, and fascinations abound. 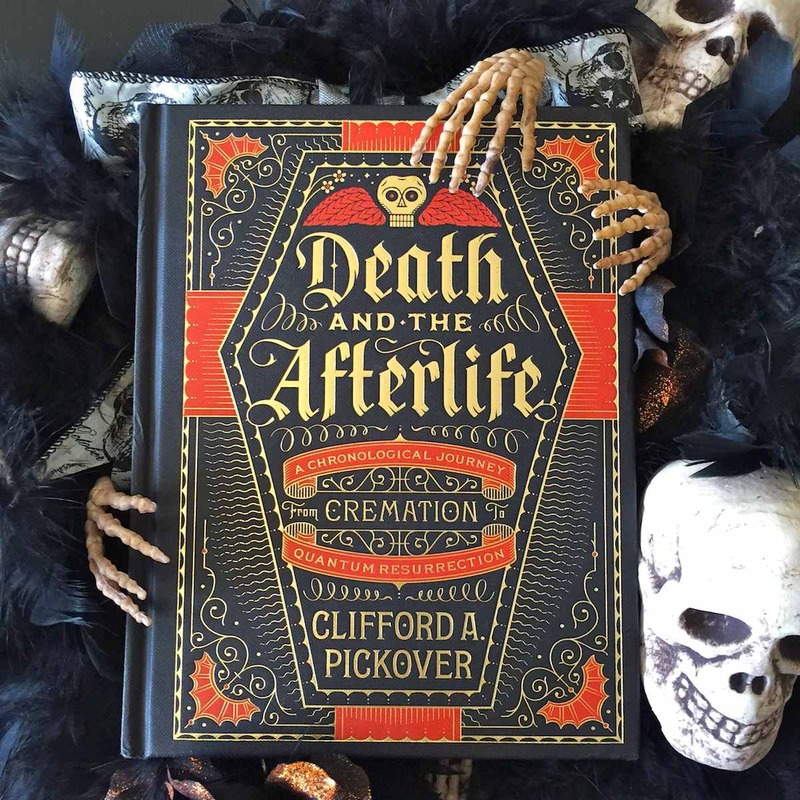 Scientist, scholar, inventor, and prolific author Clifford A. Pickover, who has written more than fifty books about science, religion, math, history, and art, has given us a handsome and thoughtful guide to some of our notions about death. Beautifully hardbound with a whimsical, tactilely pleasing cover that will look great on any shelf, this book is a serious, abridged encyclopedia of the macabre. It’s the full stew simmered down to a tasty reduction, and it gives you an amuse-bouche of fact, philosophy, and art, while acknowledging that there is so much more out there on which to dine. Given the bite-sized morsels, you could take a nip of this book here and there, but more likely you’ll devour it in large chunks.